“Success” for leaders within the kingdom of God is unique. We will not be evaluated by how much we “produce” or how “excellent” our work appears. Instead, our concern is whether or not we have been faithful and fruitful in the calling we have been given. As leaders working to shepherd disciples toward Christlikeness, we often need reminded of these basic truths. 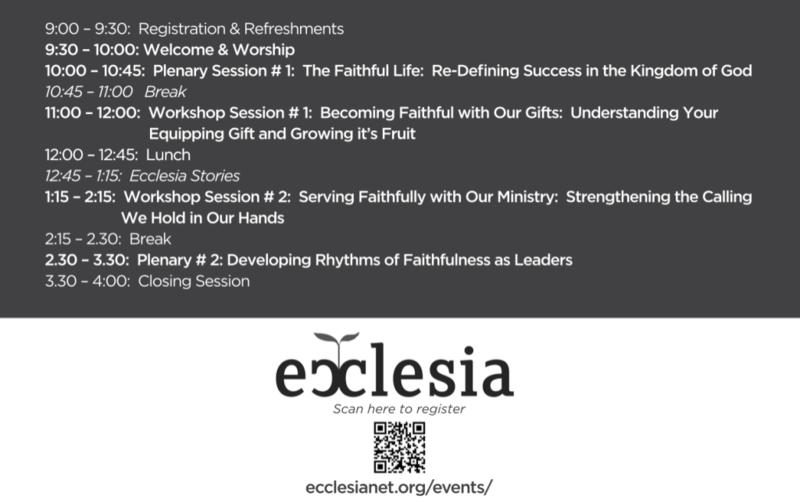 This year, the Northeast & Mid-Atlantic leaders gathering for Ecclesia Network will focus on developing a clear picture and trustworthy toolkit for a faithful life, both in our gifts and ministries. Check the website for more details and registration.